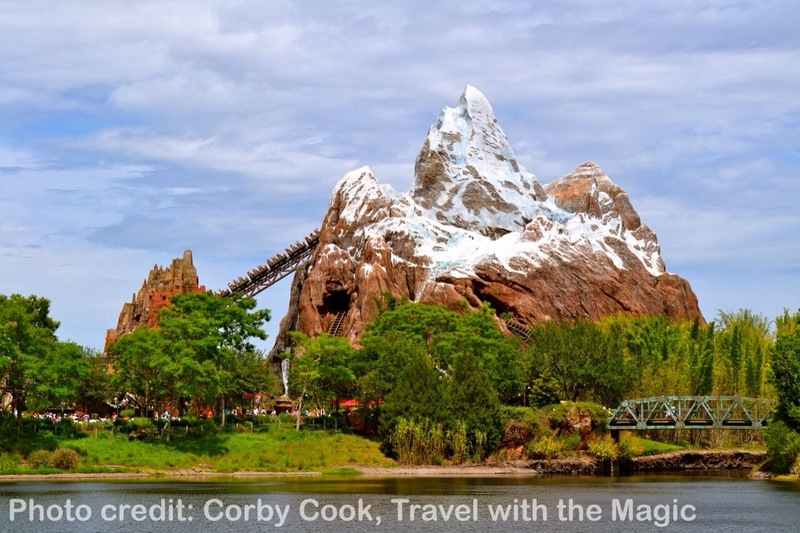 This month, our Minnie Moms share their favorite spots for a quick meal at Walt Disney World. 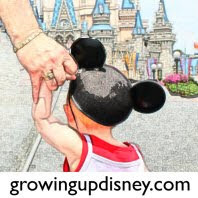 Corby: Food at Disney World! One of my favorite topics! I have several places I love to enjoy a quick meal at on property and for different reasons. Pinnochio Village Haus is one of my favorites due to the location in Fantasyland (and the flatbread!). Grab a table by the window and wave at the boats going by from It's a Small World. 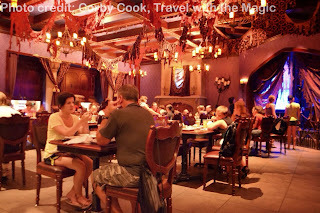 I also enjoy Flame Tree BBQ at Animal Kingdom. The BBQ is great and if you walk down by the water, there are some great tables to sit, relax and enjoy the view. Another one of my favorites is Be our Guest for lunch. I particularly enjoy dining in the West Wing! It may be a little too creepy for some children though in my opinion with the dark lighting, theming and sound effects. The food is excellent for a quick service restaurant and you can't beat the atmosphere no matter which room you choose to dine in. Lines are typically very long to enter the restaurant so do be prepared. Lastly, I enjoy getting a table outside at Cosmic Ray's Starlight Cafe at Magic Kingdom's Tomorrowland which offers a beautiful view of the castle while eating. I don't think it gets much better than that! Amy: My favorite place for a quick bite at Walt Disney World is Good's Food to Go at Old Key West. Not that I'd suggest you make a trip over to OKW just to eat there…substitute the quick service counter at any Disney resort hotel. Since I've become at mom, I've really started to appreciate these quick restaurants. We don't tend to stay out late so we are often back at our resort by dinnertime. We can let the kids play in the room or at the pool or playground while one of the adults picks up meals for the group. Old Key West's villas have a full kitchen and dining table so we get individual sandwiches and kids meals. My part of the Growing Up Disney family stayed a couple of nights at Art of Animation at the end of our last group vacation. 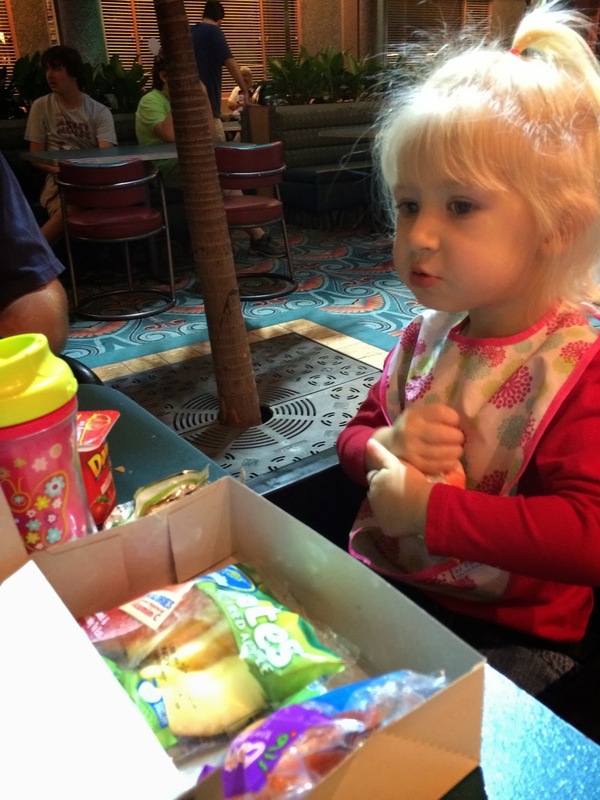 The table in the Little Mermaid rooms is tiny so we kept it simple there with a pizza from the AoA food court. Your resort's counter service restaurant can also be a great choice for breakfast when you want a hot meal and don't want to spend prime park touring time at a sit-down meal. Good's Food to Go makes a great bacon/egg/cheese croissant. The parks have a variety of great spots for a quick meal. At Magic Kingdom, I love to sit upstairs at Columbia Harbour House (fish & chicken basket) or by the Small World window at Pinocchio's Village Haus (tomato basil soup.) I've just become a fan of Pecos Bill's (taco salad) in the last few years. At Epcot, I like Tangerine Cafe in Morrocco and the fish and chips stand in the United Kingdom. 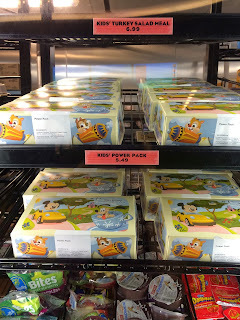 At the Studios, the Commissary is cool, usually not too loud, has a yummy Asian salad and the best thing ever…kids power packs. 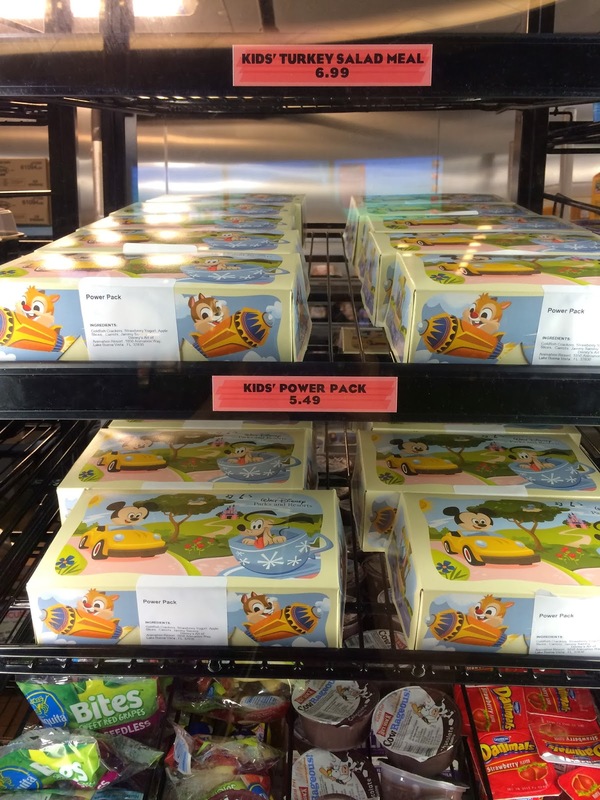 The exact composition of the power packs changes from time to time but it is filled with kid-friendly healthy snacks. My girls love these boxes and I love not having to coerce them to eat. 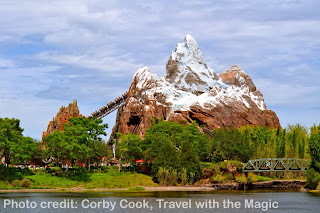 At Animal Kingdom, Flame Tree BBQ is a great spot for lunch with tasty options and nice outdoor seating. The food court at Art of Animation had Power Packs too! I bought two on our last night and put them in the fridge. The girls had the milk and yogurt for breakfast and we took the rest of the goodies for the road. 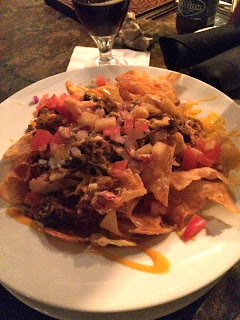 And if you can sneak away from the kiddos for a bit, the Tambu Lounge near 'Ohana has some really tasty pulled pork nachos. Please leave us a comment below and let us know your favorite spot for a quick meal at Walt Disney World! Many thanks to Danielle and Corby for joining me today! Please visit our Minnie Moms page for more information on these terrific ladies and the rest of the team, as well as links to our past articles. Starring Rolls at Hollywood Studios! The selection isn't fab, but the food so SO good. They have a sushi platter, turkey sandwiches, and ham sandwiches. Both the ham and turkey are some of the best sandwiches I've EVER had. But the real star is that this is the home of the GINORMOUS Butterfinger cupcake, which you can get as a dessert on the meal plan! SO good.